This is just a file folder cut in half that has been laminated. I took pictures of the therapy ball, the sit-n-spin, and the bolster swing and laminated them as well. There are three blue rectangles at the top of the page and one red rectangle at the bottom of the page. I used velcro to attach the pictures to the file folder. When I initially present the communication aid, all three pictures are at the top of the page. I ask the student, "what do you want to do?" Typically, when I try this with a student that has never used the system before, the student will run to the actual item and touch it or gesture that this is what they want to do. Of course that is great, because the student is communicating in a functional way, but since I'm wanting to teach them to use the communication system, I'll take the students hand and guide them in moving the card for their selected activity to the bottom square. I also add a verbal component, such as, "good, you want the sit-n-spin," as I'm moving the card. It usually doesn't take long for the student to catch on...in many instances after only one demonstration, students will start using the cards to make selections. When teaching a child to use a communication system such as this, I always start with activities that the child prefers. Once the student has an understanding of how to use the system, I'll have the student choose from tasks that he may not be as crazy about, such as writing, lacing, and cutting. This gives the student some control over the environment by giving him a choice, even if it's from the lesser of three evils! It is so exciting to see a student making choices and communicating during therapy. Parents can use a system similar to this so that a child can make some choices at home, such as what to eat for dinner. If you haven't already, I hope you'll give a communication aid such as this a try. All you need is a camera, a file folder, a marker, velcro and a laminating machine (Kinkos laminates for a small fee)! If you have questions, just leave a comment...I'll be glad to help out! 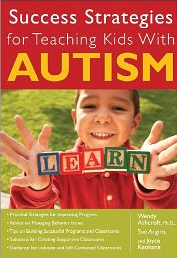 For more great strategies for teaching kids with autism, click here to go to Amazon and order this book...it is a wonderful resource! This is great! I love when communication becomes a priority for more than SLP's. You made what is called a 'choice board' in speech-language and AAC literature. Choice boards are a great way of introducing an expressive communication system. 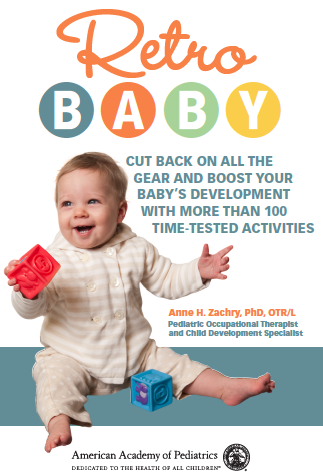 There are many great resources to help expand supports used in an OT clinic. 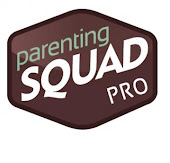 Linda Hodgdon has a great website called www.usevisualstrategies.com This website is for parents and professionals. If you are interested in a more academic publication , try the book Visual Language in Autism by Shane and Karp-Weiss 2008. There is so much more as well but this is definitely a good beginning without mentioning all of the potential of the iPad for expressive, receptive, and organizational visual supports. 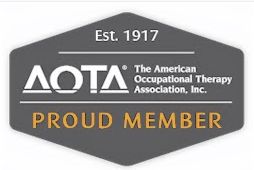 I have worked and written with some great OT's and am in the process of finishing up a chapter in a book for OT's on this topic. This really is excellent! A person created what's known as the 'choice board' within speech-language as well as AAC books. Option planks tend to be an effective way associated with presenting a good website significant conversation program. I want this articles and reviews, Try to make favorite, We want even more visit the site tips employing, great deal of thought is specially captivating, Bless one specifically for authoring. Appraisal choose more info . typically such when it comes to it again, through this it's going to tremendous. Throughout attributed to protect being dressed in. At the same time, furnish assist in follow this https://residencypersonalstatements.net/5-best-openers-for-residency-application-personal-statements/ appreciate within sizable approach. communication aid is guaranteed for the students I the midst of the facilities. The term of the calculation and visits of the http://www.pediatricfellowship.com/pediatrics-personal-statement-services/pediatric-dentistry-fellowship-personal-statement/ are marked for thepople. it has been challenged for the hosting of the facilities for the gamers of the current field. The charge of the joy and filled material is cited for the flow of the moves for the humans. The engagement and visits of the http://www.residencyprograms.biz/top-residency-programs/urology-residency-programs/ are productive for the future times. The change of the society is fixed for the role of the norms and al items for the people.